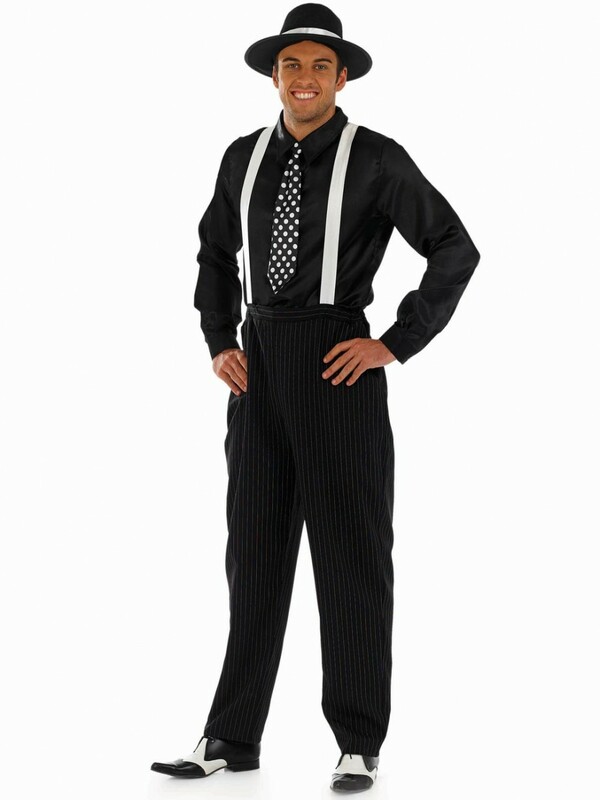 This Slick Spotted Gangster Costume comes complete with everything you need to create this 20s outfit; Shirt, Tie, Trousers, Braces and Hat. This Spotted Gangster Costume is a slick and modern choice for any 20s Gangster fancy dress occasion. It comes complete with everything you need to transform into this character; Shirt, Tie, Trousers with Braces and Hat. The classic black shirt provides a great background for the crisp white braces, which are attached to the pinstriped trousers. 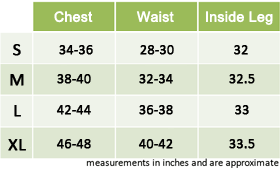 The waist of the trousers is elasticated for comfort. The coordinating black and white hat is also included with a large rim for a great look. This Spotted Gangster Costume is completed with a fun spotted tie which adds some extra flare to the look!